I don’t remember where I got this recipe from, but I have been making it many years! It was a favorite at church dinners. Mix first five ingredients and shape into 3/4" thick patties (about 10). 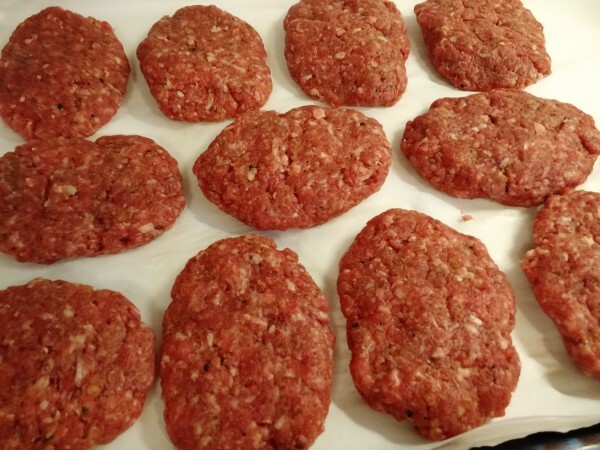 Bake meat patties at 375 for 20 minutes. Transfer to baking dish. Although spelt is actually a type of wheat flour, most people with wheat allergies can digest spelt with no problem. Obviously, you should not eat spelt if it is a problem for you. Be careful of the beef broth if you are avoiding wheat or soy. 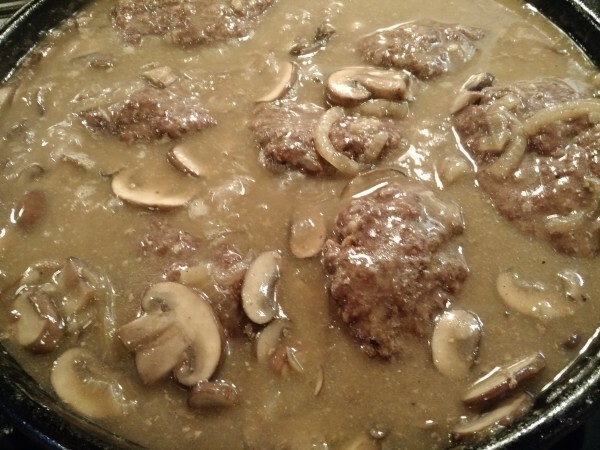 I use Better than Bouillon Organic beef base and, for this recipe, I use two times the amount suggested on the jar for 3 cups of beef broth. If you don't need gluten-free or wheat-free, go ahead and use all-purpose flour and regular breadcrumbs. I used a 3 oz. scoop for the meat mixture and ended up with 11 patties plus about a half sized one.